Short prom dresses are great options for the girl who wants to stray away from the typical long prom dress style and wants to stand out. 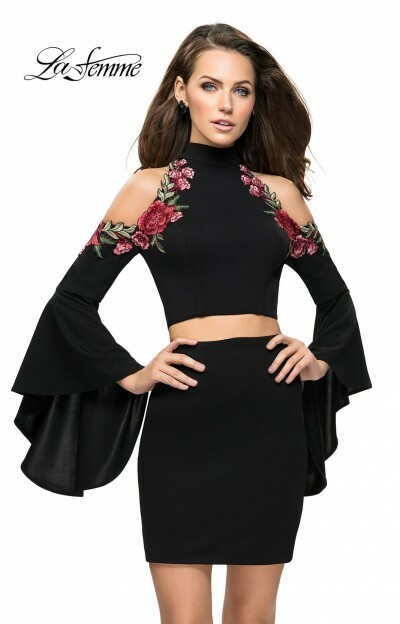 Available in a variety of styles from tight two piece styles to cute puffy cupcake dresses, short formal dresses are fitting for a number of events from homecoming to a sweet sixteen. Choose from styles such as a blue strapless a-line dress, a sassy chiffon number with an open back, or a classic little black dress style. You could always grab something in between, like the high low prom dresses section. No matter the occasion, prom dresses short are always on-trend, and The Castle has them at ultra cheap prices that you won't be able to resist!